This engaging, poignant musical, which had a successful run at Seattle Repertory Theatre in 2015 and reached Broadway in 2017 (where it is still running), returns to Seattle in a national touring production. Who would rack up many thousands of miles crisscrossing the continent to see the same Broadway musical more than 100 times? This Dallas-based professional pilot has a deep personal attachment to the production, which she has seen in several locales in the U.S. and in Canada — including in a successful run at Seattle Repertory Theatre in 2015. 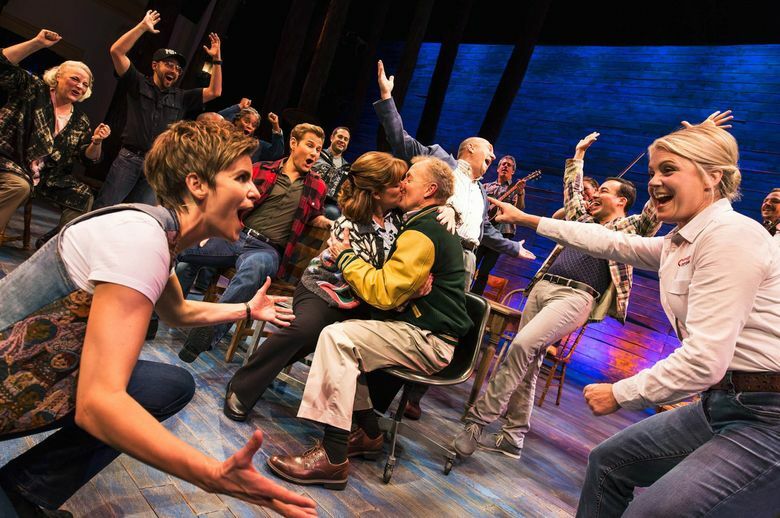 The engaging, poignant show, which reached Broadway in 2017 and is still running there, is now returning to Seattle in a national touring edition. It is slated for a four-week engagement at The 5th Avenue Theatre. 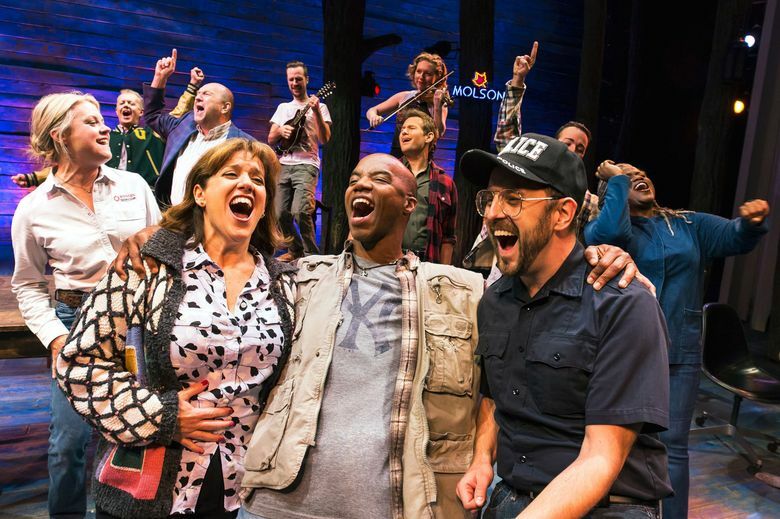 “Come From Away” is about how Gander, a small and close-knit island community in Newfoundland, Canada, welcomed some 6,700 passengers and crew members on 38 commercial flights. The planes were rerouted north from the U.S. in Canada’s Operation Yellow Ribbon, immediately after the terrorist attacks on Sept. 11, 2001. 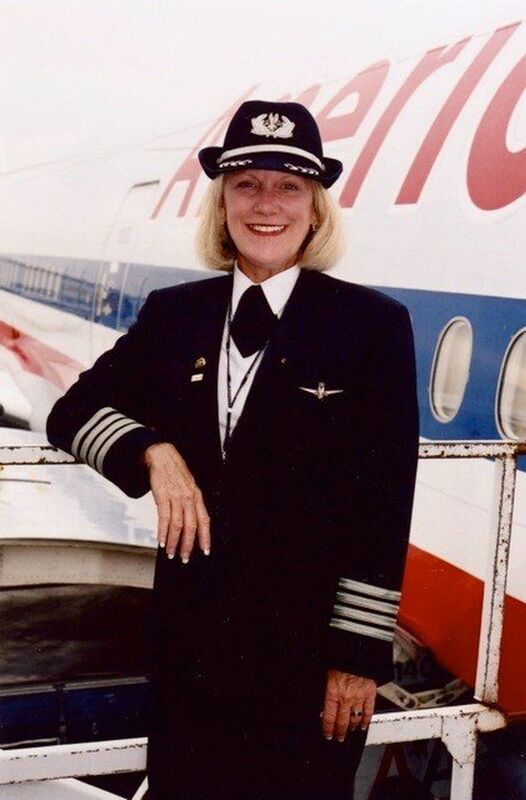 And Bass, the first woman to reach the rank of captain at American Airlines during her long tenure with the company, was the pilot on one of those flights. Bass even attended the Tony Award ceremony where “Come From Away” was up for seven nominations and logged one win (for Christopher Ashley as best director of a musical). 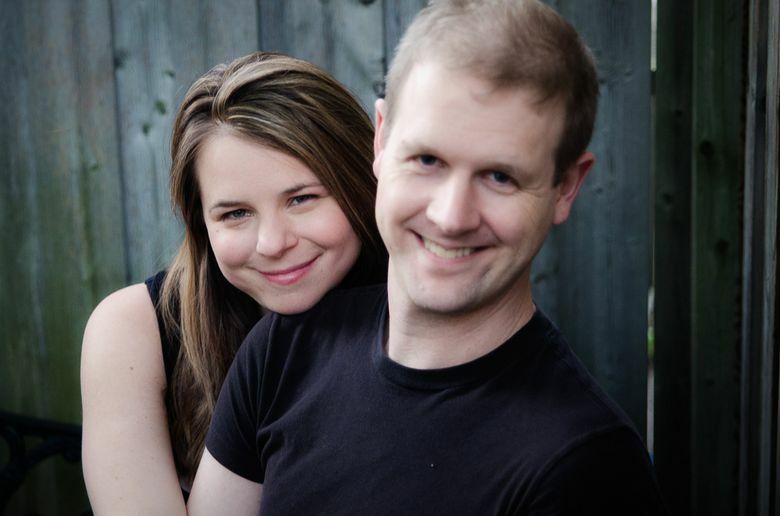 The show’s trajectory was more than its creators, the married Canadian writing/composing team of Irene Sankoff and David Hein, had dreamed of when they first met Bass and others in Gander in 2011, at the 10-year reunion of the plane landings there. With a musical in mind, Sankoff and Hein recorded interviews with many locals (including the town’s proud mayor) and “come from aways” (the Ganderites’ term for visitors to their far-flung burg). And the couple drew heavily on those taped reminiscences to conjure characters, including the one based closely on Bass. Though Seattle is far, far away from Gander, the theater community here believed and invested in the musical early on. Junkyard Dog Productions, a company with Seattle ties that has taken other shows that originated here (“Memphis,” “First Date”) to Broadway, signed on to produce “Come From Away” and sponsored a 2014 workshop of the piece at The 5th Avenue Theatre. And Seattle Rep joined forces with La Jolla Playhouse to mount the first full productions. Though initial West Coast reviews and crowd reactions were enthusiastic, one wondered if the relatively small-cast, lively-but-single-set staging by Ashley (that featured a folksy onstage band led by 5th Avenue staffer Ian Eisendrath) would be flashy enough to make it on the Great White Way. And was it wise to bring an ultimately upbeat show set against the horror of 9/11 to a city that lost so many in the twin-towers attacks — including the firefighter son of Hannah and Dennis O’Rourke, Long Island residents who were diverted to Gander that day? Would the effort appear naive or insensitive, no matter how well-meaning?